This week I've got another comic review post for y'all. On occasion I like to check out new comic series that are coming out. I particularly like to check for stand alone series that are not too far into their runs and exist outside of a universe continuity. This is why it will be rare for me to review anything DC or Marvel related that is actually CURRENT to the releases happening now (ex: DC Rebirth). I never read the New 52 or Marvel's Secret Wars, so I'd like to catch up with all of that before I cover any of the current series they are releasing WITHIN continuity. Robert Kirkman is the creator/writer of The Walking Dead, which was a hit comic series before it moved to television, and which I have yet to read. This is apparently the first new series that Kirkman has done in about four years. 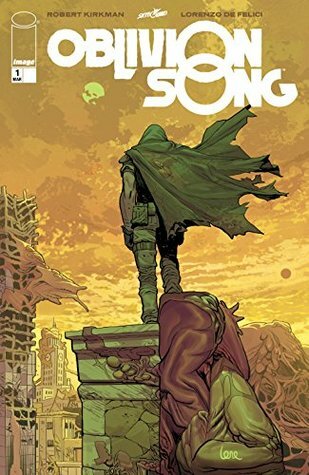 Oblivion Song #1 opens with the protagonist of the story, Nathan Cole, in what appears to be a post-apocalyptic world where there is a stringy goo over buildings and monsters are roaming. He locates two people and uses a gun to shoot darts that make them disappear. He darts himself and we find out that he travels between two different places and brings the people from the apocalyptic place to the regular world. The basis seems to be that 10 years ago something occurred which is referred to as "the Transference" and the people lost during that were honored on a memorial stone with their names etched onto it. Nathan Cole has succeeded in bringing some people back. He used to have a program that would assist in rescues with more of a rescue team approach, but now the government refuses to fund it. Nathan is hellbent on finding and returning people, with the main motivation being that he hopes to find his brother, Ed, and bring him back. This issue ends with a bit of a cliffhanger and potential for the story to progress in very interesting ways. Additionally, this issue presents the general meaning of the series title, which was intriguing and I'm hoping that it is subtly nodded at throughout the series in more ways. I'm hoping that Oblivion Song becomes a deeper, encompassing meaning for the series than simply a placeholder for a singular aspect of the post-apocalyptic world we have been introduced to. The story seems solid so far. The hero seems likable, albeit he does have personal motivations for doing what he does. Perhaps if he wasn't personally affected, he wouldn't be so deadset on bringing people back, but it is because he was affected that we have this story. That isn't the question to be wondering. The questions on my mind include: How did the Transference happen? How does the crossing over between the two worlds happen? What will he do without better funding? What was up with the people at the end? A lot of the strength of this story comes with the character designs presented and the style of the comic. It isn't hyper realistic, but it isn't cartoonish either. There is a really good color blend that isn't too dull or overly vibrant for the story being told. It sits right in the middle for me, so I find it pleasing. The design of each character is done in a way that makes for strong storytelling and differentiation in experience. Characters that have been in the apocalyptic zone, even if they are returned, are marked with distinct wrinkles on the face. When we see a couple in the other world at the start, their faces are almost wild seeming and edgy compared to people maintaining a normal existence. Additionally, through one of the main characters associated with Nathan, we see the shift in overall personality and the subtle trauma that still exists from having to survive in an unfamiliar landscape. There aren't literal scars, but there are indicators of personal scarring from the experience which is very well presented artistically. Note to Parents: I can honestly say this issue wasn't too bad as far as content goes. I saw one definite curse word, 2 potentials depending on your strictness, and not very much in terms of violence/gore (1 shriveled-ish corpse that isn't hyper detailed, sort of reminiscent of a more cartoony 1999 Mummy film style), but in future issues, this could increase, I am not sure and won't know until more issues are released. Thus far, I can honestly say that my interest is piqued and I would love to see what happens next. I think this story has a lot of potential, and I hope it ends up providing more suspense and intrigue as more issues are released. The one thing I would hate to see is this story become predictable or slow in its pace. I think it a steady increase is maintained and twists are presented well, this could be a very good run in the future. Issue #1 gets a 4 out of 5 from me. The previous Image comic sample issues I've read thus far have been very bizarre, so this is one of the first ones I have actually been genuinely interested in following more. Oblivion Song #2 is scheduled for release on April 11, 2018. If you liked this post, have read this issue, or are interested in it, leave a comment. If there are other comic series, old/new/upcoming that you would like to see reviewed here, let me know! 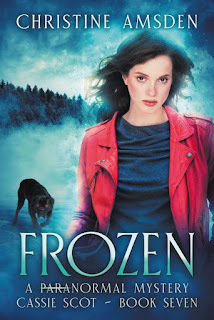 Continuing the book tour for her new Cassie Scot book, Frozen, author Christine Amsden decided to stop by to share some of her writing tips. 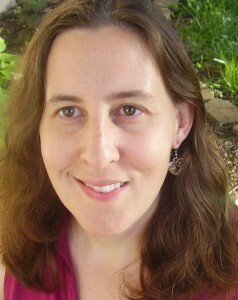 As a writer myself, I am really psyched to be sharing her tips with you! Hopefully they are helpful to us all! 1. Read. Most people start their lists with “write every day” and believe me, that’s number two! But before you do that, and while you do that, you also need to read. Read books you love. That inspire you. Then read them again and study what drew you into that story. 2. Write every day. You can’t escape it. If you want to be a runner, you run every day. If you want to be a singer, you sing every day. And if you want to be a writer, you write every day. I don’t care if you’ve only got fifteen minutes on your lunch break or twenty minutes before bed. Find the time, and make it sacred. It has been about three years since I reviewed a book in the Cassie Scot series (Madison's Song in 2015), and two years since the last book came out (Kaitlin's Tale in 2016). Now, I am happy to say that there is a new book coming out and I am here to share my review of the Advanced Reader's Copy! Without further adieu, here is Cassie Scot #7. Apparently, life doesn’t end when you get married. When a couple freezes to death on a fifty degree day, Cassie is called in to investigate. The couple ran a daycare out of their home, making preschoolers the key witnesses and even the prime suspects. Welcome back to the Real World According to Sam! It is Tuesday, so today we are going to be discussing a pretty recent limited comic series volume. As you all know, I am a HUGE Disney fan and I was really happy that my local library got this one added to their collection. This is also one of my first summer reads for this year. With no wind to fill the sails of the Black Pearl, Captain Jack Sparrow and his crew find themselves stuck in Port Royal. Jack knows of an ancient object rumored to call up the wind, but getting their hands on it won't be easy. Return to the world of Captain Jack Sparrow in these untold tales of pirate adventure on the high seas!